Search engine optimization experts hold a long journey behind the experience. It is not so easy but so threatening. Search industry divides SEO levels in grade with respect to search knowledge perspective. This article includes all SEO grades from beginner to expert and provides comprehensive knowledge level to all readers. (search engine optimization) professional tag comes with strong exertion skills. Experts earn it through hard work and limitless experiments. Let us explain various SEO levels briefly and understand the importance of each level in the search industry. Each SEO level has its own significance and plays a vital role in boosting target website rankings in the Google SERP. We are one of the top web development companies offering Search Engine Optimization Experts. 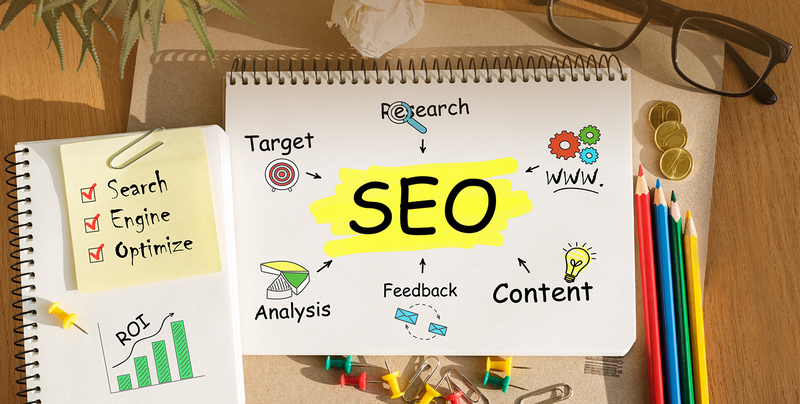 To being Search Engine Optimization Experts, A fresh mind starts its career in the SEO sector with this tag and learns lots of things about the search industry. SEO Beginner is treated as an empty page. There are more than 200 SEO factors in the search industry which beginner must need to read. Video tutorials, PDF, infographics, SEO tips & tricks, SEO expert’s advice and many more options are available to enhance knowledge of Beginner SEO. Unveil the mysteries behind SEO such as how the search engine works, how a keyword ranks for a website, how to increase visitors etc. and take precise information about it. Beginner SEO level distributes in 10 chambers. Clear 10 chambers through SEO lessons for becoming a wise SEO beginner. 1. The first chamber tells about SEO fundamental and makes familiar with the search engine. It gives a proficient vision to you for SEO success. How is website indexed in the Google, How to crawl the website, what are the possibilities of a website’s success and many more such kind of questions we find here. 2. Second chamber discloses a website’s content prominence and builds cardinal understanding for website’s content development. How to target keyword in the content, how to write SEO-friendly content, how to publish unique content and other queries solve here. 3. The third chamber introduces website architecture and navigation. How to select an SEO-friendly layout for the website, how to define pagination for a website and another kind of discussions come here. Here, learn that how to pick an attractive and lightweight template for a target website. 4. Forth chamber is dedicated to HTML. SEO beginner learns about the use of HTML5. HTML and text ratio should be in balance for a website. How to use SEO-friendly HTML Tags, how to minify HTML according to SEO and more such kind of inquiries are created here. Try to implement minimum HTML with an SEO-friendly layout. 5. Fifth chamber delivers brand reputation and builds prestige for a new website. How to increase the trust ratio, how to increase domain authority, how to enhance website’s identity and many more interrogations are observed here. Brand reputation acquires to prove the website’s motive & aims. 6. Sixth chamber goes with off page SEO techniques. Here, link building is the most and influential perspective to use the sixth chamber. Several off page techniques are used for link building like directory submission, article posting, blog posting, forum submission, news submissions etc. 7. Seventh chamber contains on page SEO and completes all aspects of SEO. It is one of the most important and crucial dimension. All SEO efforts depend on it. Today, it has 60% role in the search industry. Image optimization, heading optimization, speed optimization and other useful techniques come in this category. 8. Eighth chamber specially introduces social media activities that have become a prestige symbol for the website. Build the social profile on Facebook, Twitter, LinkedIn and update posts & updates on a daily basis. 9. Ninth chamber tributes to spam activities. Do not use illegal or less trusty link building. It comes under spam activities criteria and Google takes strong action. Penalize website and domain banned come in the spam activities guidelines. Be genuine and serve to authenticate stuff. 10. Tenth chamber is the main pillar for beginner SEO workers. Google guidelines come in the chamber where beginner SEO finds all problem’s solution. SEO starts with Google and ends upon Google. Google guidelines prevent unethical tactics and support white hat techniques for better search results. Beginner SEO professional starts the career from the first step and spends 2 to 3 years for becoming an intermediate SEO professional. Intermediate develops excellent knowledge and brilliant observation power for website optimization. Cleared basics and strong SEO strategy make intermediate to business leader in the search industry. holds an exclusive collection of SEO techniques. People hire intermediate SEO professionals for strong SEO infrastructure. Intermediate works under expert’s supervision and tries to complete 10 chambers to becomes an expert SEO professional for individual fame. 1. The first chamber represents cloaking & doorway pages. Cloaking pages provide a different page set to visitor and Google crawler. On the other side, doorway pages follow the redirection method and user jump one page to another page automatically without any information. 2. The Second chamber tells about plagiarism. Duplicate content is one of the most serious concerns for Google. Google hates plagiarism content and penalizes to the user. Rare and unreadable content makes the reputation in the content market. 3. The third chamber optimizes website template for Flash. Google supports rich content websites while flash websites support graphics and animation without text content. Google guidelines force to minify CSS while Flash use CSS enormously. 4. Forth chamber includes video marketing. Videos keep accurate marketing reputation in the search industry. These spread awareness and precise information gracefully. Videos are easy to understand & memorable for all age group. It has the second position in the SEO field after text content. 5. The fifth chamber goes with paid links. It is a paid world beyond SEO. Build quality link through payment and receive massive link juice for the target website. It is the easy and short-term procedure for the brand establishment. 6. The sixth chamber covers Bing & Yahoo SEO. Bing and Yahoo search engine has a hefty indexed page after Google. Search Engine Bing is manufacturing enormous SEO tools and creating a different platform for SEO professional. Bing uses Yahoo indexing and provides Bing webmaster tools to track the website’s data. 7. The seventh chamber serves mobile SEO optimization. Gadget market is increasing gloriously via mobile revolution. It is time to create a responsive and mobile friendly website for better search results. Today, smartphone users more compare than desktop or laptop users. It is the good challenge for intermediate SEO professional according to SEO perspective. 8. The Eighth chamber gives sitemap functionality. Sitemap is the website’s URL hub where we find all internal links. Sitemap.html gives the best environment to users while sitemap.XML gives a great place to search engine crawlers. 9. Ninth chamber develops a robots.txt file for the website. Robots file allows limitations to website visitors and prevents illegal activities. This file keeps the website free from ethical attack and applies indications to Google bot. 10. The Tenth chamber always goes with Google. Geographical listing for a website is a most imperative task. It conveys right information about local data as well as listing to website visitors. Google map listing, website URL, working hours or many more things come in this category. It is a confident stage for an SEO professional. 5 to 7 years’ experience and different level of SEO build a proficient SEO expert. Highly expert SEO able to re-evaluate junior’s work and prescribe treasured instruction. SEO Specialists find hidden drawbacks and prepare a set of default errors for beginner and intermediate SEO professionals. Expert SEO professional thinks like Google and identifies web design and development issues SEO regarding. SEO experts work individually and evaluate the website’s performance for improving search results. Suggest a right keyword for a website is the utmost stimulating task because the website’s future depends on it. Advanced SEO comes under this job where analytical and logical tricks have been executed for good appearance. Attempt 10 chambers for becoming SEO expert at the international level here. 1. First chamber treats Google webmaster tools excitingly. SEO Expert contains amazing knowledge of Google guidelines and implements with Google webmaster tools. Website’s on page optimization depends on Google webmaster tools. SEO specialist observes crawl errors, index errors, broken links etc. and mark as fixed regarding SEO perspective. 2. Obviously, the second chamber will go with Google analytics. It is a finest real-time analytical tool for tracking any specific webpage or particular region visits. Create a goal, demographics observation and visitor statistics come under Google analytics. Expert SEO specialist is habitual to use analytics tool and provide the right SEO strategy. 3. Third chamber will also support Adwords Google. It is a prestigious name in the paid advertising world. Inorganic search results come under Adwords Google. Although, expert SEO professionals spread organic results it decides through inorganic bidding. Advanced SEO specialists pick high PPC value keyword for the target website’s keyword. 4. Forth business inspires from Google business. It is the perfect place to estimate earning resources. Just fill the required spaces and become a genuine Google business partner. Google business confirms truthful information and highlights the website’s uniqueness. SEO experts verify Google business for brand reputation. 5. Fifth chamber introduces Google trends. Explore website’s most visiting searches here with Google trends tool. It is a graphical tool, which shows useful facts like worldwide searching, searching time, search category, source etc. SEO expert predicts personal SEO score here for upcoming work. 6. Sixth chamber provides Google keyword planner tool. Find a relevant keyword for the website and raise Google business legally. It needs of every website for being visible upon Google search results page. A bad keyword decreases website’s visibility and stops visitors to surf a website. 7. Seventh chamber considers SEO for IOS Phone. Apart from android IOS has created history in the world for the quality product. It provides a great user-friendly experience with extraordinary specifications. IOS app will play an immense role for future SEO. 8. Eighth chamber specially designed for android app. Google personally handles the Android world and applies enormous changes to Google Play Store. World’s first bestselling operating system has been ready for android app SEO. Google is doing preparation and designing guidelines for android app SEO. 9. Ninth chamber holds black hat SEO practices. Every day, fresh minds enter in the hacking world and apply different ways to become most visible illegally. Google retains all these kinds of happenings in black hat SEO. Sandbox is a perfect place for black hat SEO users. These called black hat Search Engine Optimization Experts. IT companies hire search engine optimization experts for healthier visitor’s flow and brand reputation. SEO is a different part of IT companies, which work in parallel with website designers and developers. IT Company hires an SEO team to maintain a client’s website value. SEO maintains a great marketing place at the cheap price. We are Search Engine Optimization Experts. Hope, you will enjoy the journey from beginner to search engine optimization experts. SEO is re-evaluating own self and the inflowing innovative digital world. Boost SEO skills and instate strong command of black hat SEO & Grey hat SEO. Follow Matt Cutts tips and be active for future updates. Build study habit and cover all aspects of SEO. Only interested people may intact with the SEO profession. We have Search Engine Optimization Experts offer the best SEO services. we need also information before this type now i got it. This piece of writing offers clear idea designed for the new users of blogging, that genuinely how to do blogging and site-building. This is really interesting, You are a very skilled blogger. I have joined your feed and look forward to seeking more of your great post. Also, I have shared your site in my social networks! You made some decent points there. I looked online for the problem and discovered most people will go along with together with your web page. Took a thorough understanding of the search engines and SEO to put together a post like this. Top notch quality work. thanks for the read. you are really a good webmaster. The web site loading speed is amazing. It seems that you are doing any unique trick. In addition, The contents are masterwork. you’ve done a excellent job on this topic! These are in fact wonderful ideas in about blogging. You have touched some good points here. Any way keep up wrinting. Incredible story there. What happened after? Take care! What i don’t understood is in truth how you are no longer actually much more neatly-preferred than you may be right now. You’re very intelligent. You realize therefore significantly on the subject of this topic, produced me personally believe it from so many various angles. Its like women and men aren’t involved except it’s something to accomplish with Lady gaga! Your individual stuffs excellent. Always handle it up! You made some respectable factors there. I looked on the internet for the difficulty and found most people will go along with together with your website. Best Mobile App Development Company finding tricks? Data Theft: How To Protect Yourself? We deliver what you imagine!